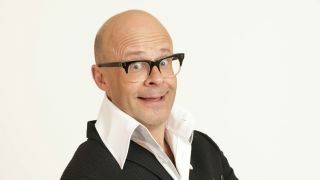 Harry Hill is the latest musical celeb to sign up to Music For All's National Learn To Play Day. According to Music For All, the "budding ukelele player" will be taking a ukelele class at Gateshead Metro Centre JG Windows store on Saturday 16 March from 12pm. Hill joins the likes of Jools Holland and Nick Mason in promoting Learn To Play Day, which aims to give people interested in picking up an instrument (or lapsed musicians) the chance of a free taster lesson on March 16. For more information, visit the official Learn To Play Day website.